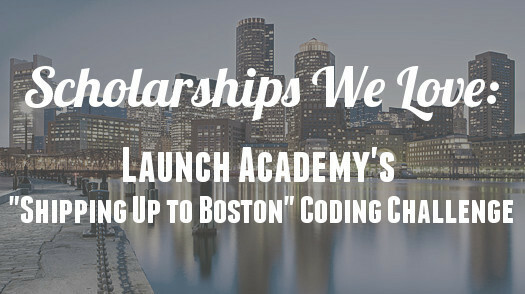 We’re breaking down Launch Academy’s Shipping Up to Boston Coding Challenge, the first ever developer bootcamp full scholarship coding competition! Boston is a city with a particular feel...and a particular sound. Maybe you recognize that sound from somewhere? Launch Academy is embracing its Boston roots by offering a challenge for people who are ready to start their coding career in Bean Town. The challenge is to build a translator for those charming, one of a kind Boston accents. That means using strings (character sequences), specifically gsub (global substitution) in Ruby to replace Boston lingo with slightly more universal fare. DISCLAIMER: Most people in Boston don’t talk like this, but it’s still fun! After that, improving the translator is up to you! *From the Launch Academy guidelines. The best solutions will observe as many of the rules found on the universal hub glossary as possible. Launch Academy will evaluate the completeness of your solution, the clarity of your code, and your sense of humor :-). You should supply a README or text file that documents the aspects of the accent your program is capable of handling, and why you want to attend Launch Academy. Create a secret gist and include a link to it in the text area of your application that starts with the label “In your professional life.” Please be sure to press the “Create secret Gist” button so that your entry is not advertised in your GitHub profile. Please don’t ruin the fun! Keep your submission confidential until the contest is over so everyone has a fair shot at the scholarship. Any entry that is found publicly available on the web will be disqualified from the contest. Any duplicate submissions or submissions deemed by Launch Academy to not be an original work is subject to immediate disqualification. The contest runs from 2/25/15 – 3/20/15. Contest entrants must submit their application with gist to challenge by 3/20/15 at 9pm EST via the Launch Academy application on the launchacademy.com website. The contest winners will be announced on or before 3/25/15 via the Launch Academy blog. 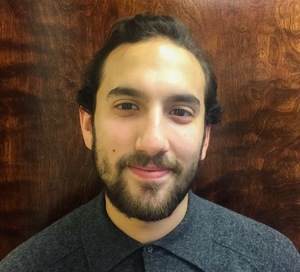 Grand Prize: Full Scholarship (valued at $12,500) to Launch Academy’s Summer Cohort starting May 18, 2015. Second Place: All successful submissions will be eligible to win one of ten free MacBook Airs upon acceptance and attendance to the Summer 2015 cohort. Mr. Hunting, we like those apples very much, thank you. We’re in favor of any and all scholarships that give opportunities to deserving coders who otherwise might not have gotten a chance. On top of that, we’ll definitely throw our support behind a scholarship that lets coders code and rewards creativity. Besides, we might finally be able to watch The Departed without subtitles!